1 of the top reasons clients come see me is due to neck & back pain often accompanied by headaches. The way you carry yourself or sit has a huge impact on your posture, effecting your health, negatively or positively. 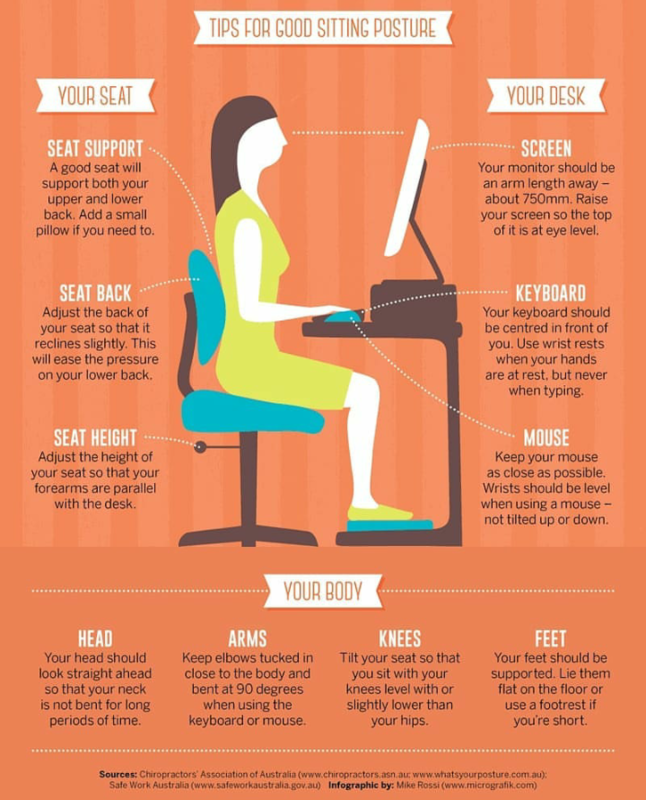 Tomorrow when you go to work or sit a desk, notice how you’re body is positioned. Aim to replicate the position in this image.